If you already meditated on some techniques and feel like there is no answer coming, it is simply because the answer you receive is usually very subtle and can hardly be felt. 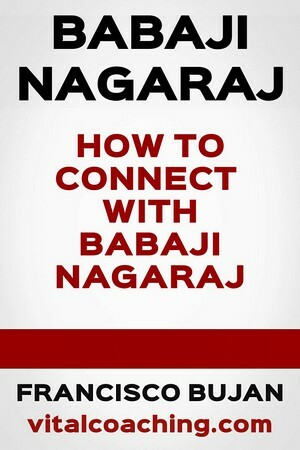 Babaji can communicate to you in many ways and physical speech will probably not be one of them. Because this is not how telepathic touch usually works. This is not how a connection with a guru field usually works. I know that you might have read books where a master appears to his disciples physically but for most people, this will never happen. The results that you get from any spiritual practice are usually much more subtle and much less spectacular. They are feelings of bliss, sudden inspiration to take some form of action, an inner feeling of love and so much more. Keep your mind free and be open to any experience even a no-experience. Even if you don't feel or perceive a change it is still actually happening. The spiritual training you are engaged into empowers your mind, body and spirit. The impact of a technique is very subtle and it is often only after a few months that you notice a real difference in the way you perceive your life, thoughts, emotions and connections with what surrounds you.